I would like to present you a new tool I’ve started to work on recently. 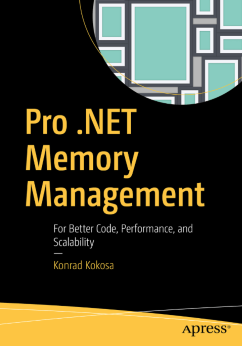 I’ve called it The Ultimate .NET Experiment (Tune) as its purpose is to learn .NET internals and performance tuning by experiments with C# code. As it is currently in very early 0.2 version, it can be treated as Proof Of Concept with many, many features still missing. But it is usable enough to have some fun with it already. write a sample, valid C# script which contains at least one class with public method taking a single string parameter. It will be executed by hitting Run button. This script can contain as many additional methods and classes as you wish. Just remember that first public method from the first public class will be executed (with single parameter taken from the input box below the script). You may also choose whether you want to build in Debug or Release mode (note: currently it is only x64 bit compilation). after clicking Run button, the script will be compiled and executed. Additionally, it will be decompiled both to IL (Intermediate Language) and assembly code in the corresponding tab. 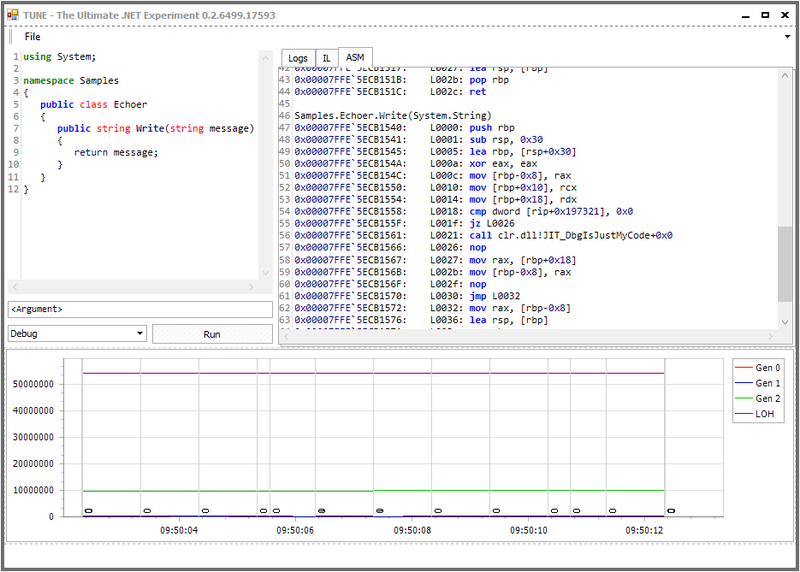 all the time Tune is running (including time during script execution) a graph with GC data is being drawn. It shows information about generation sizes and GC occurrences (as vertical lines with the number below showing which generation has been triggered).